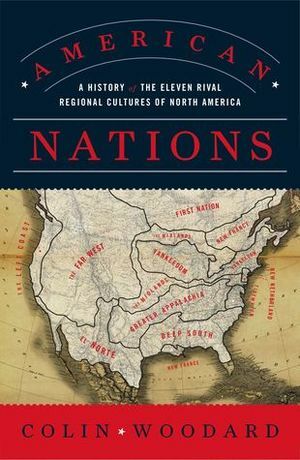 An endlessly fascinating look at American regionalism and the eleven "nations" that continue to shape North America According to award-winning journalist and historian Colin Woodard, North America is made up of eleven distinct nations, each with its own unique historical roots. In American Nations he takes readers on a journey through the history of our fractured continent, offering a revolutionary and revelatory take on American identity, and how the conflicts between them have shaped our past and continue to mold our future. From the Deep South to the Far West, to Yankeedom to El Norte, Woodard reveals how each region continues to uphold its distinguishing ideals and identities today, with results that can be seen in the composition of the U.S. Congress or on the county-by-county election maps of presidential elections.